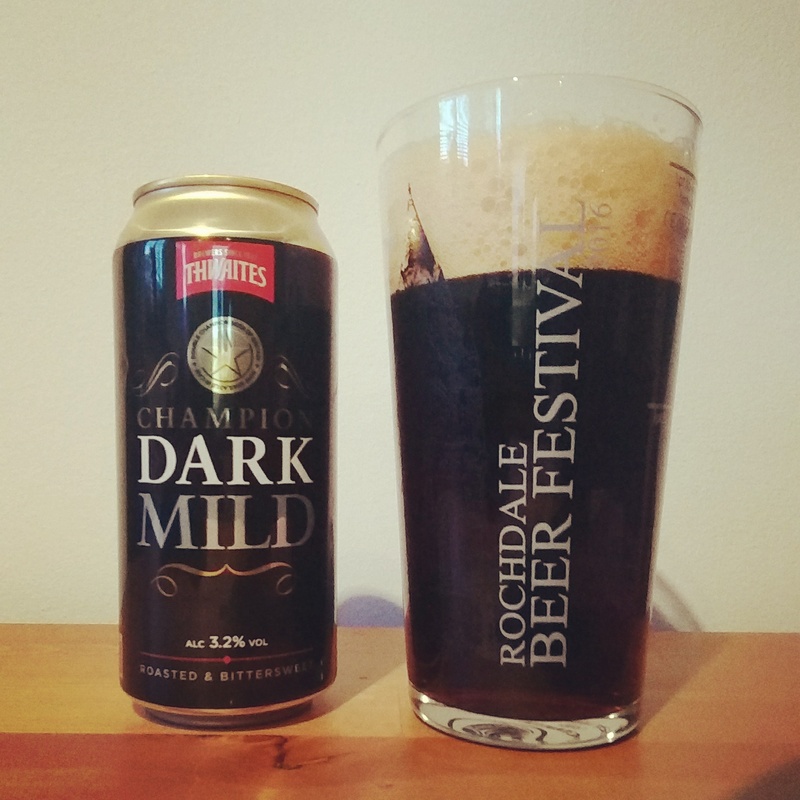 Mild – "You know, I hear they recently decided to add more hops to it…"
“Mild” has always been a word I’d heard muttered in something of a disdainful manner in the context of beer. Whilst the rumors of it being the primary target of unscrupulous pub owners wishing to recycle the drip-trays back into the barrels are somewhat overblown (though from what I’ve read it certainly did happen) mild seems to have obtained an unfair reputation as a tasteless, uninspiring ale. As a result, despite being one of the oldest beer styles in the UK, it isn’t very easy to come across these days. Malt-heavy mild ales – with little to no hops – were originally popular in mining communities for their low-alcohol, low-cost and sweet, easy-drinking taste. Formerly a 6% ale, the strength dropped to around 3% during the malt rationing of the first world war. The style has been dying out ever since (and some breweries who still produce it even refuse to use the name). This is why CAMRA designate May as their Mild month. 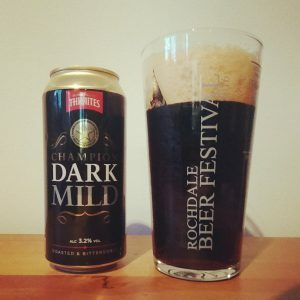 I’ve sampled a range of mild ales recently – all in the name of science, of course – and I’m really starting to enjoy it as a style, so I thought I’d share the best of the ones I’ve found so-far. 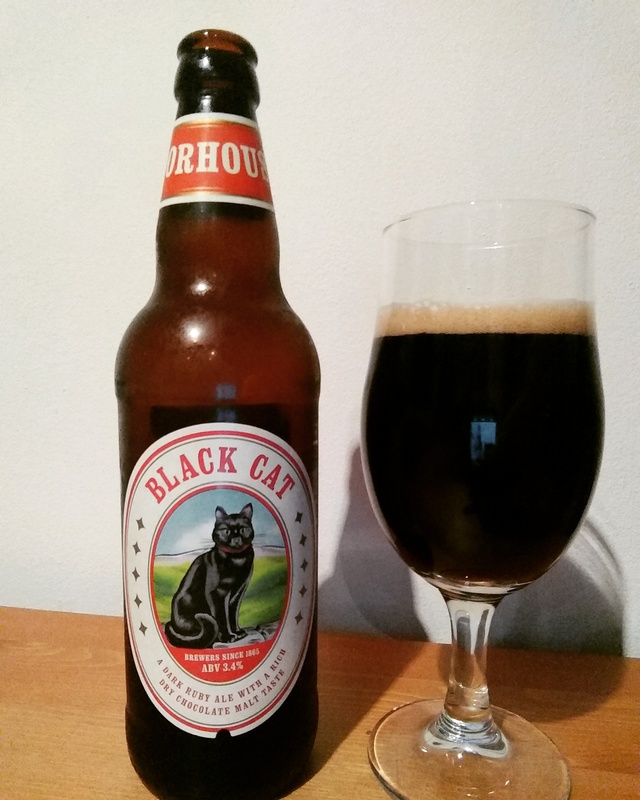 Black Cat is one of the easiest milds to locate but as mentioned above Moorhouse is one of those breweries who don’t use the word at all on their branding or label. However from what I can tell it was previously marketed as such, but ditched the name due to the poor connotations and decline in popularity. It has all the characteristics of a standard dark mild, not much of a head but a lovely malty mouth-feel and notes of coffee and chocolate. Stats: 3.4% strength, cost around £1.70 in my local Asda. Thwaites is another Mild which is fairly easy to come across, I found this in my local Morrisons. This is a fabulous example of a mild, with a wonderful body, great head and lovely chocolate flavours from the roasted malt. 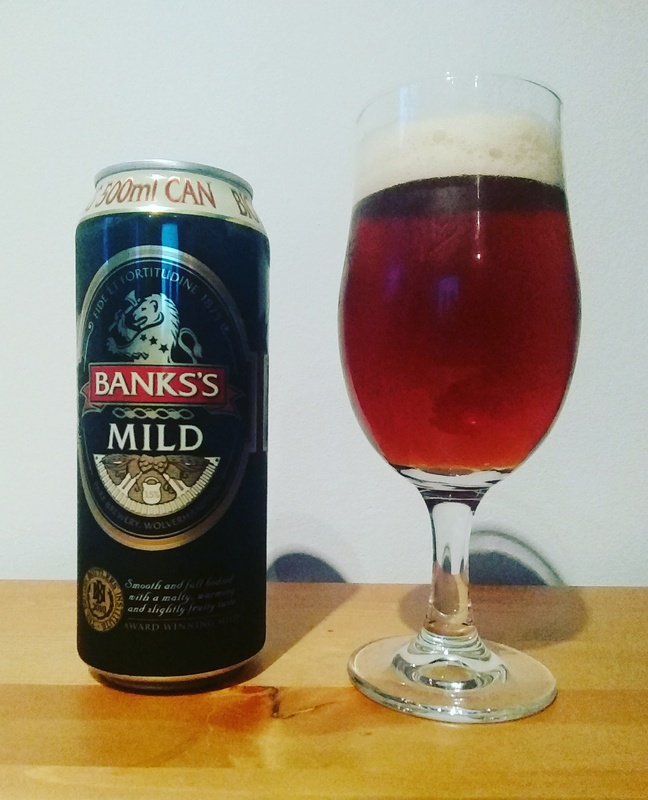 If you’ve never tasted a mild before, this is a brilliant one to start off with. Stats: 3.2% and around £4 for four cans. Now this ale was on my hit-list after some research, though I had to enter several of the more “unsavoury” off-licenses to locate it, which in Rochdale can mean sometimes taking your life in your hands. Thankfully however I didn’t die, and after a visit to the local B&M Bargains (of all places) I managed to locate a few cans of “Banks’s” mild. Despite the questionable punctuation, this is a decent ale, though as it is a light mild (with a lighter chestnut colour, you’ll see) it loses some of the depth and sweetness of the other ales I’ve tried. Stats: Around £3.30 for four cans. Mighty Medicine is a relatively new brewery which opened in late 2016, not far from us up in Whitworth. They specialize mostly in traditional cask ales, and have a great brewery tap I’m known to frequent on a weekly basis. Moon Monkey (formerly called Mighty Mild) is a borderline case when it comes to a mild, but I’m counting it because its a deep malty ale (certainly not a stout, perhaps similar to a porter) and is by far the best thing they currently brew. Stats: 4% and around £3.20 a pop, well worth it. 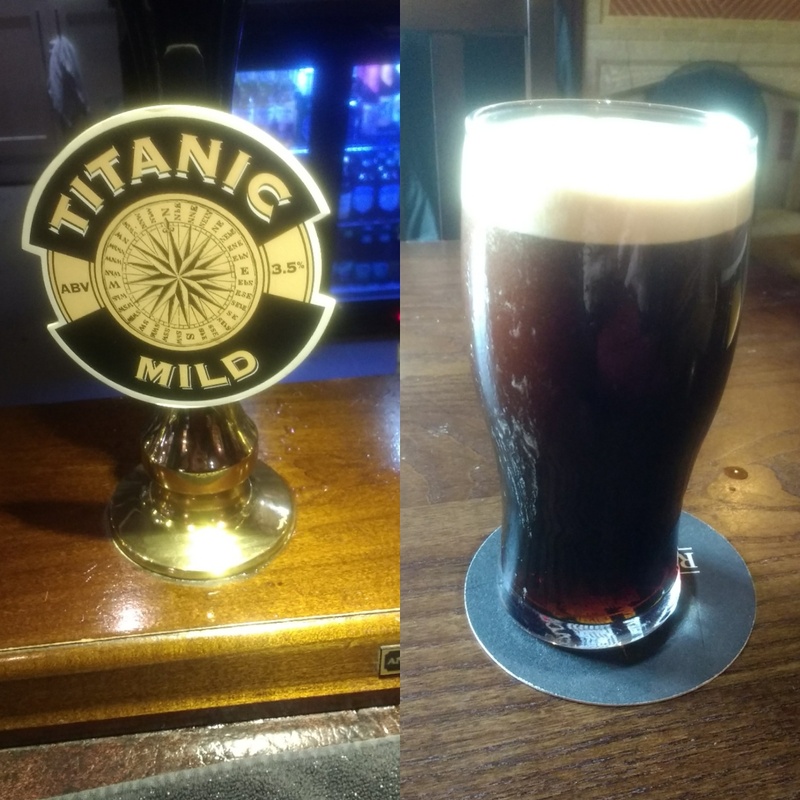 Titanic’s Mild was a chance discovery a couple of days ago. I’d just been for an epic walk round Healey Dell and decided a quick pint would be a great way to quench the resulting thirst. 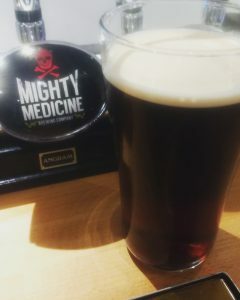 I wandered into The Healey pub – my local – and was pleasantly surprised to find a mild on cask I’d never tried before. 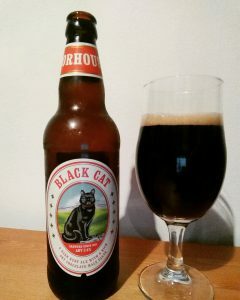 This had a fabulous creamy head, and was on a par with the Thwaites dark mild above. Stats: 3.8% strength and around £3.20 a pint. I hope this post has blasted away some of the misconceptions around mild, and that this Mild Month you’ll give it a go. Hopefully this old ale still has life in it yet!